Skyward - is a Young Adult novel about a young girl and her starfighter. Based on Top Gun, How to Train Your Dragon and Ender's Game, as claimed by Sanderson himself. If you have been fans of these ‘originals’, then you realize that the influence of these references are pretty strong as you tear through the book. But Brandon hasn't just referenced these stories. 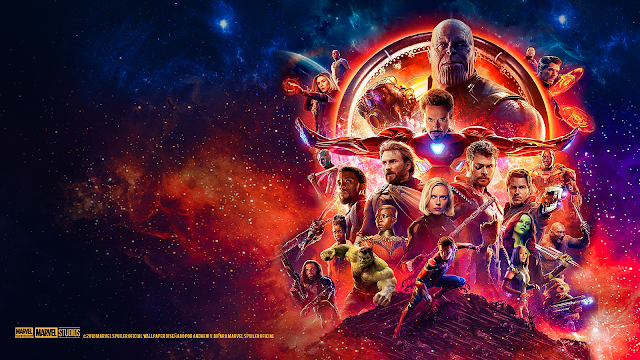 In true mastercraft form, he's created yet another blazing masterpiece - in terms of the standout characters, the worldbuilding and the amazing plot. Be it Spensa “spin” nightshade, the rebellious young fighter pilot, or Detritus - the abandoned planet that has become the only world for the future of the humanity or that rollicking plot featuring mysterious alien races, hair-raising masterful sequences of aerial dog-fighting that reflect Brandon's philosophy of building up a world of elaborate magic systems, here translated to aerial-fighting even reflecting the realities of high-speed flying and breathtaking maneuvers. I will be frank, despite being a YA story - Skyward is super entertaining, hilarious at times and non-stop fun. Hell, there’s even a sentient spaceship that has a soul and is ever trying to break into the comic-standup routine with lame jokes galore. 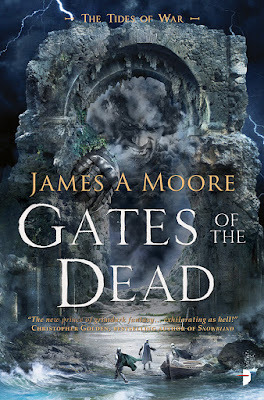 Spensa grows up on the upper caverns of the planet Detritus – a place where humanity crashed about eighty-odd years back – fighting to survive against a alien race called the Krells. She has always harbored high-flying ambitions of being a pilot – after her Dad – a famous fighter pilot on the Defiant Defence Force (DDF) dies ignominiously branded as a coward who ran/flew away from the biggest battle to save Humanity. Spensa grows up shunning the rest of humanity, believing in her father’s innocence and exemplifying the angry defiant teen who hides behind her epic proclamations that she’s gained from her grandmothers’ stories of “heroes” like Beowulf. The rest of the society brand her as the “coward’s daughter” but she against all odds, makes it to the training class – to start fighter-pilot classes as a DDF cadet within the academy. Spensa makes friends who don’t judge her for the first time in her life, enjoys the flying classes and soon becomes an ace pilot, focused and intense about her ambitions to fight the Krell and clear her father’s name – “Look up and claim the stars” being her driving ambition as instructed by her father. Now in the meanwhile, Spensa who is still regarded as a “threat” or an outsider by the disgruntled leader of the DDF, Judy Ironsides, is forced to spend her nights outside the academy – back to hunting rats in the caverns and in that process, one night chances upon this broken down ship – that doesn’t have DDF markings and looks to be a completely different design, possibly superior to her own fighter planes. The old ship surprisingly is a functional AI – one that revels in writing new subroutines to experiment with human ‘emotions’. Spensa harbors wild dreams of flying her ‘own’ ship one day – with M-bot fully fueling her wild reckless ambitions by assuring her that he is able to fully shield himself against DDF radio/scouts. The stakes soon go up though – The class loses a few of the cadets in ensuing Krell attacks through the months of her training. Spensa soon realizes that this was never a game – That there are lives at stake. She also figures out secrets about her father in that fated battle of the Alta, raising questions that she has no answers to. It builds up into a climactic battle where Spensa has to fight for not just her life but clearing up her father’s name and also saving the rest of humanity as the mysterious aliens bear down on planet Detritus in an all-out attack. Spensa’s character arc is fascinating. Brandon, as usual, knows how to paint up a “heroic” protagonist whom we love to fall behind and root for. She goes through the grind as an outsider committed to a vision that only she can see, ridiculed and made fun of but who never loses target of her goal. Her one fiery ambition fires her through the life’s unfair loops. She is annoying at first but slowly at the class where she makes real friends and loses some, we feel her pain and we see her growing up. At seventeen years, hardly five feet three inches – Spensa doesn’t make for a typical heroine. And yet she stands head and shoulders above the others – with her stout heart and plenty of pluck. There are others in the class whom Brandon has also painted out to be three-dimensional and real. Jorgen ‘Jerkface’ stands out among these. The honorable flight-leader, who is as confused as others when it comes to making a connect with the rest of his flight, who reads lines rehearsed from a rules-book and yet, has a heart of gold, helping out the rest of his flight. And then there is the AI, M-bot a sentient machine that tries to “emote” by writing it’s own sub routine programs. Enough questions for us to ponder over the concept of what is the nature of one’s identity. Both through the AI as well as Spensa’s own questions about humanity and it’s future. There are fights aplenty – Brandon spends time in helping us get familiar with the rules of “dog-fighting” maneuvers that he’s fully developed out. It’s a pleasure to be a part of the whole training class sequences and the battles with the Krell. I initially thought it would be a detached experience but Brandon fully engages his audience with well thought out sequences that are truly mind-blowing and exhilarating. It's a light read – but one that never lets up on that pedal called “fun”. I heartily recommend this one – breakneck pacing that doesn’t pull back even at Mag-10 or beyond, a pint-sized rocker of a heroine who doesn’t let the society pull down her stratospheric ambitions of wanting to ‘claim the stars’ – and assured world-building that hints at larger questions and exciting build-up for the next volume(s) in store. 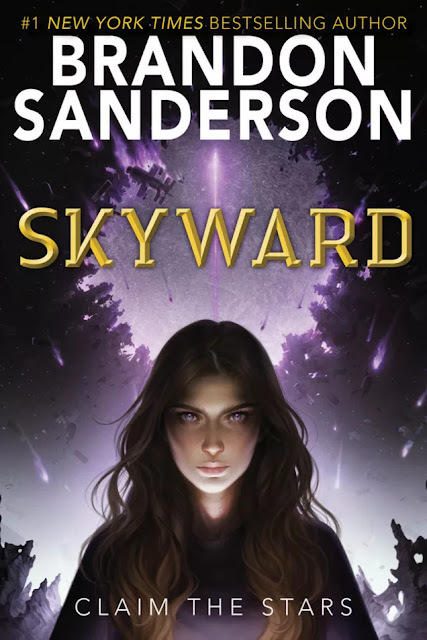 Vintage Brandon Sanderson that you cannot miss, Skywards is a gripping opener to this YA series that is all sorts of flaming fun and startling revelations.